The Spanx Power Conceal Her Mid-Thigh Bodysuit shapes and lifts your body in all the right places, as you can see here in my New Year Eve dress. Here’s three reason why I love this Spanx Power Conceal Her Bodysuit: 1. You can wear your own bra, a total plus! 2. You never have to the full bodysuit off to use the restroom, thanks to double eyelet gusset design. [THIS IS MAJOR] 3. The Spanx bodysuit is light and comfortable to wear under any dress and the way it shapes your body is beyond. Spanx is my new secret weapon. Thank you SPANX, dearly beloved, for the gift of the power conceal-her high waisted mid-thigh short. what I’m really saying is, thanks to SPANX I could eat all my grandmas cookies and cake tonight at our annual Christmas Eve family party and not have to worry about sucking it in. AAAAhhhhh! Life is always simpler with SPANX. 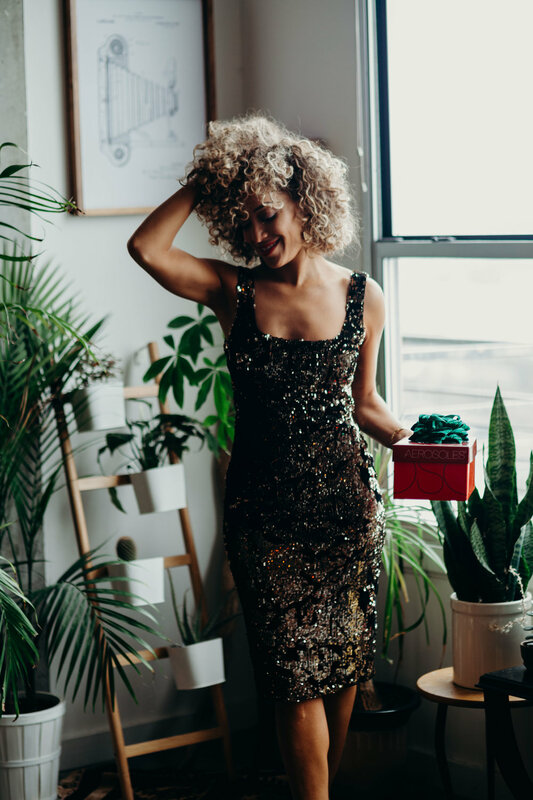 Let the magic of SPANX shape your gorgeous body in all your stunning dresses with its seamless design, and don’t be shy to eat another chocolate chip cookie this season, YOLO! Shop my secret weapon aka the Power Conceal-Her High Waisted Mid Thigh Short at Spanx.com. I absolutely love the Power Conceal-Her Open-Bust Cami that gives my stomach and back 360 shaping power under any shirt, dress or sweater I wear. The SPANX Power Conceal Her cami provides a sleek, finished look without being restrictive. Oh, and because of the double layer fabric, the Power Conceal Her Cami provides my breast with an awesome little lift. [#WINNING] So when I want to throw on a tight top or whenever I take out my freak’um dress this SPANX cami makes me feel so much better = LOVE. Shop my go-to SPANX Power Conceal Her open bust on SPANX.com.